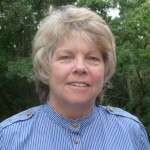 Susan Bast has been an environmental scientist for the City of Burnsville, Minnesota for over two decades. She develops, coordinates and implements environmental programs that promote sustainable practices with a goal to provide residents, businesses and employees with the information and the opportunity to make more environmentally preferable choices. She completed a Master’s in Landscape Architecture from the University of Minnesota and a Professional Certificate in Sustainable Design from MCAD in 2009. Susan is based in Minnesota.